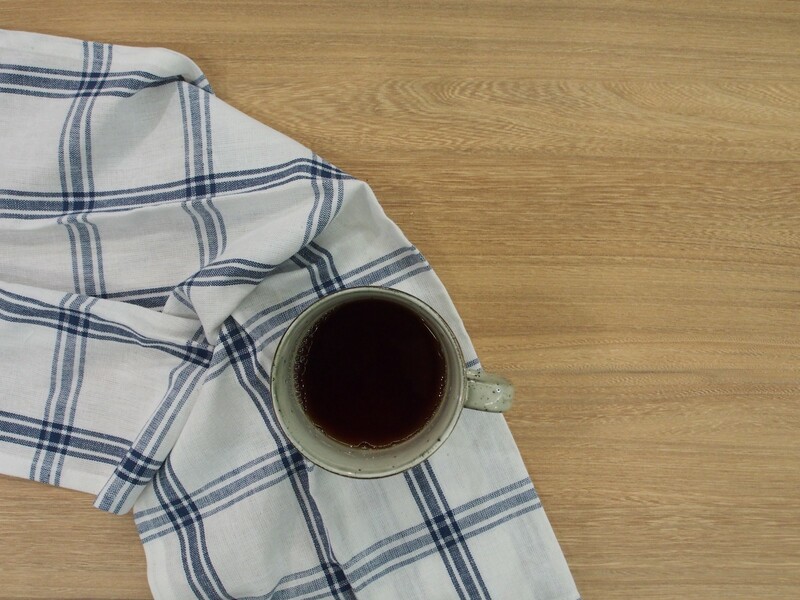 Melamine [LPL] vs. High Pressure Laminate [HPL] — What’s The Difference?! 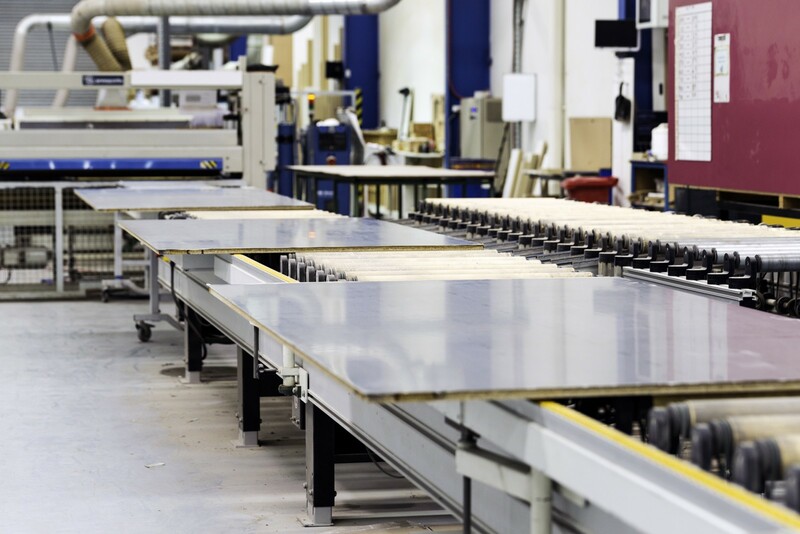 High pressure laminates and melamine products — where to start? 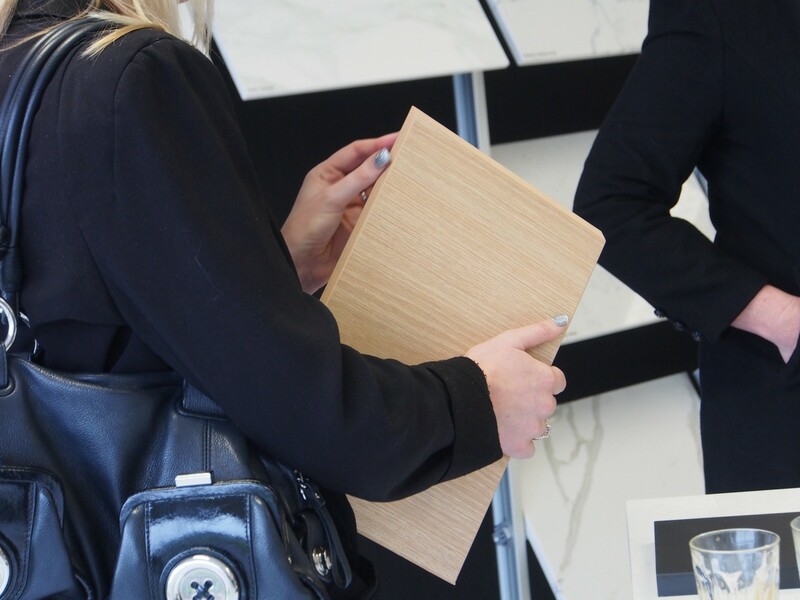 It’s often questioned — what’s the difference between High Pressure Laminate and Melamine? But — what most people are REALLY asking is… what product should I use for what? 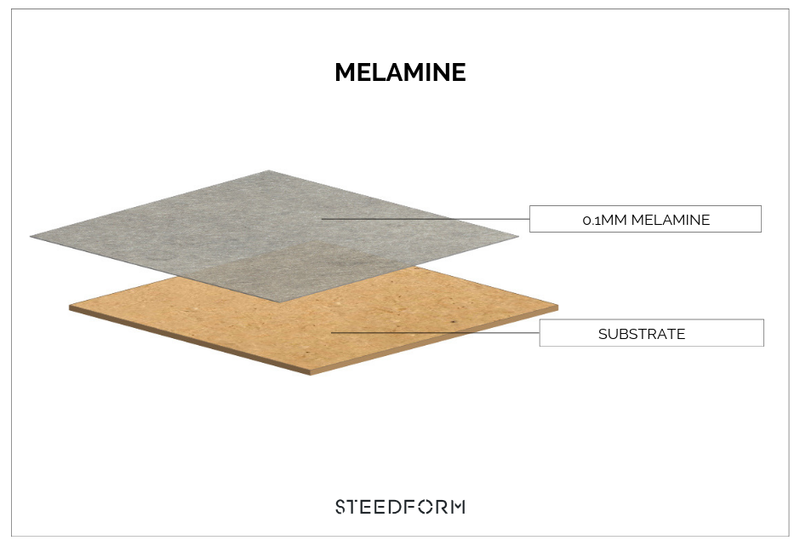 The differences in the make up of standard HPL and Melamine. To begin to understand each products advantages and disadvantages, and their favored applications — we need a quick lesson in what they actually are. 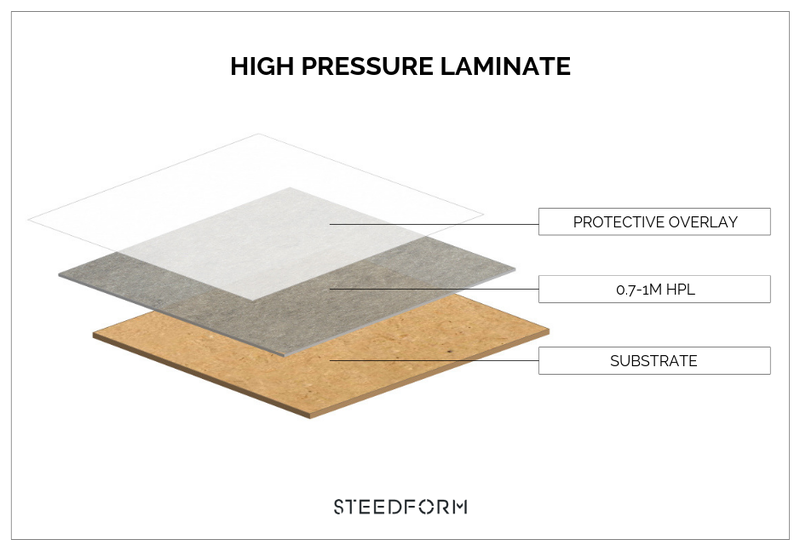 What is High Pressure Laminate [HPL]? Bonding laminate at SteedForm’s Wingfield factory. High Pressure Laminate, or ‘HPL’ as it’s often referred to as, is created through a multi-step process. The product is made up of six to eight layers of resin-impregnated kraft paper, decorative paper (with a pattern, colour or woodgrain) and a clear overlay. These layers are manufactured under 1000kg per-square-meter of pressure, under 140°C+ temperatures. When you purchase a sheet of HPL, it’s generally without a substrate. 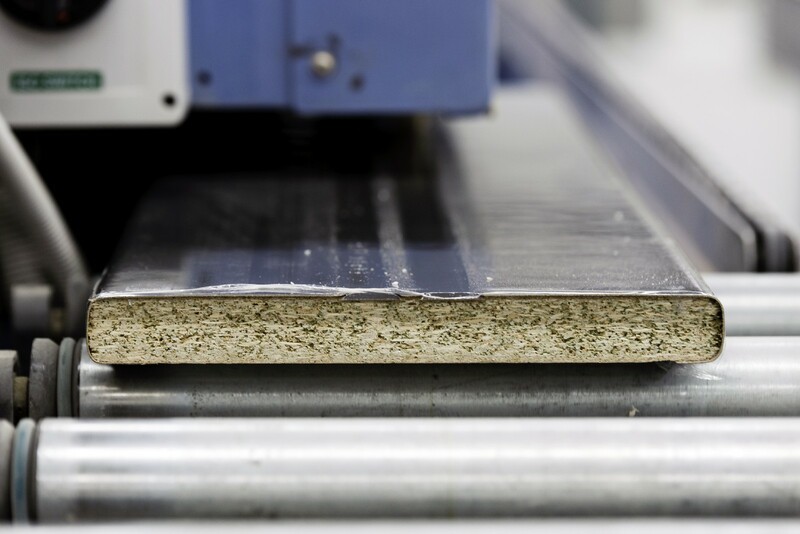 Attaching it to a backing, such as MDF or craftwood, is a new process all together — commonly referred to as ‘bonding’ or ‘laying up the laminate’ [pictured above]. Low Pressure Laminate, also known as pre-finished board or Melamine is a thin, single melamine paper bonded directly to a substrate (usually craft wood or particle board). Melamine is manufactured at 200–350kg per-square-meter of pressure - but at a higher temperature — approx 170°C–190°C. HPL is a real performer, making it a product that can be used for both horizontal and vertical applications. High Pressure Laminate is often used in both commercial and residential projects as benchtops, vanity tops, tables, counters and more. Because of how HPL is made, it has a higher level of impact resistance than LPL products, making it great for high traffic areas. Melamine is a product best suited for vertical, low impact or low wear applications. This product is great for store fixtures, office furniture, shelves, entertainment centers and more. This is where a large comparison between the two products is drawn, in that HPL performs well horizontally, whist it is often suggested to not use melamine for horizontal applications. It’s actually quite difficult to compare these two products in price — as they are so different. Simply put, Melamine is cheaper than HPL. It undergoes far less factory manufacture and as a result is able to be provided at a better cost. Melamine is an affordable alternative, but cannot perform at the same level as a HPL — which is why HPL sits in a higher price bracket. When it comes to pricing vs choice — it’s a weigh up between what you need the product for and budget. If you know the product is going to need protection from daily wear and tear — the extra dollars for a HPL product may be necessary. Hopefully this article paints a clearer picture on whether to use Melamine or HPL for your next project.